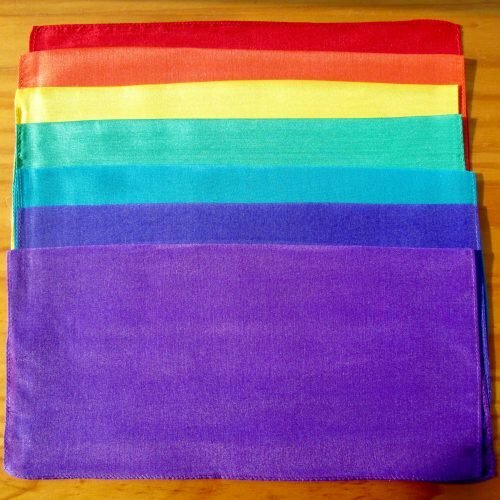 Colour therapy silk square set wholesale pack is made up of a wholesale pack of ten sets. Therefore, they are for re-selling or using in group work. You will find that these are the perfect colour/color therapy set for the serious therapist. Whether you work with colour, color, chakra therapy, reiki, crystal healing, massage, other holistic, alternative therapy and beauty treatments. 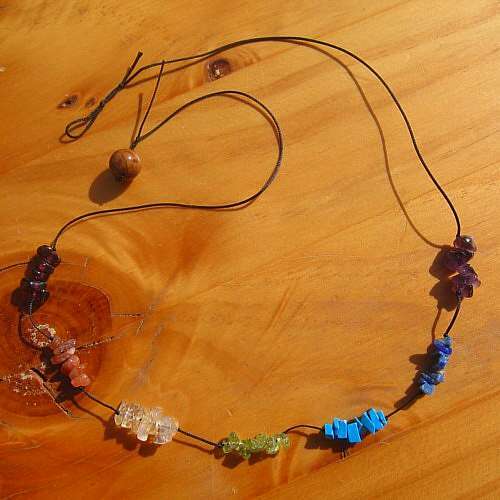 Most importantly, each set contains corresponding colours for each of the seven main chakras. In addition, you will find useful colours for more advanced and specific treatments. Therefore, red, orange, yellow, green, thymus chakra green/turquoise, light blue, indigo blue, purple, magenta, pale pink, pure white, silver colour, pale gold colour and rich copper gold colour. Each square measures approximately 36x36cm/14 inches. Red for the base or root chakra, orange for the sacral chakra, yellow for the solar plexus chakra, green for the heart chakra, turquoise/green for the thymus chakra, pale blue for the throat chakra, indigo blue for the third eye chakra, violet purple for the crown chakra. While the other colours are used for the higher chakras. Also for other specific uses in holistic and color therapy treatments. 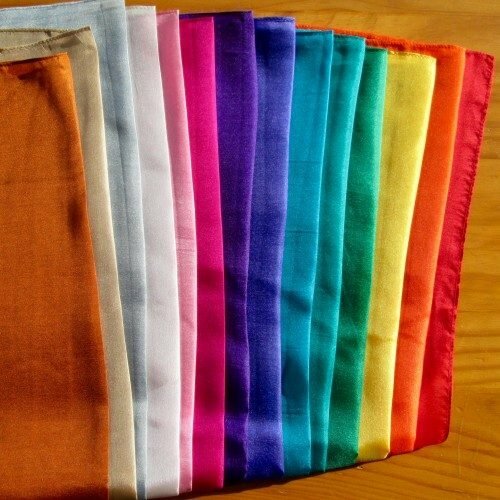 Your “colour therapy silk square set wholesale pack” is made with a light weight pongee silk. 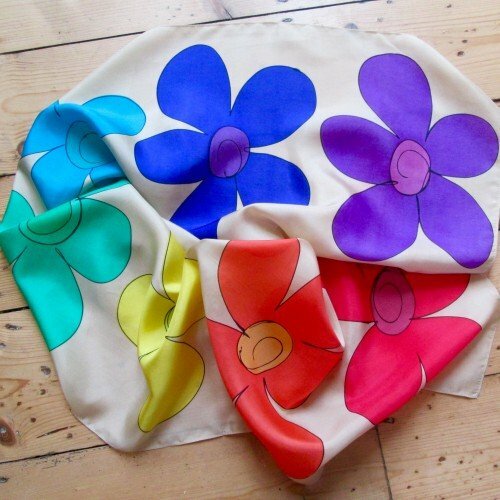 Importantly, each square of your colour therapy silk square set is printed and can be hand washed. 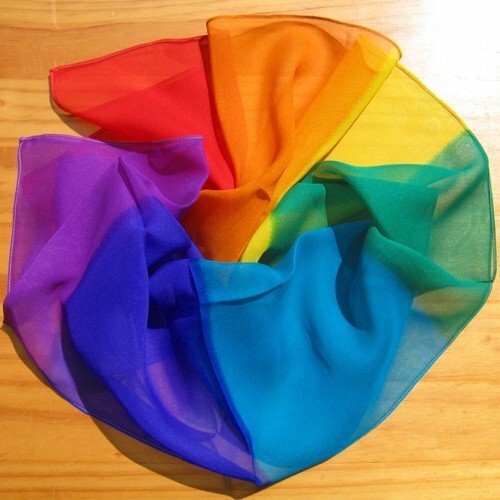 Find washing instructions on the “care for your silks” page. Previously, I hand painted these squares. However, I find that the vibrancy of the colours and quality of the silk is better with these printed silk squares. I’m very happy with the result and these are rapidly becoming one of my best selling chakra sets. Your “colour therapy silk square set wholesale pack” contains 10 sets of the fourteen colours. Each complete set is supplied neatly packaged.